The program "Restaurantmanagement" allows you to automate all business processes of your department. The program is designed for a small cafe, as well as for a large restaurant. The system is simple and easy to use, has a clear and intuitive interface that will speed up the work of your department. 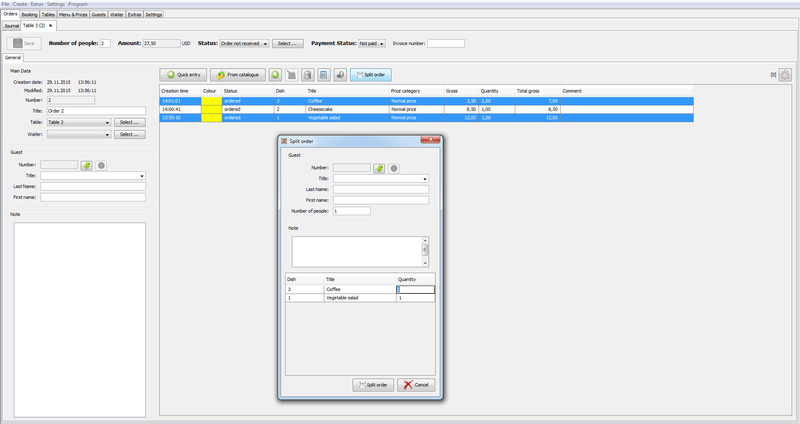 The program has a convenient and functional set of options to create and manage orders. 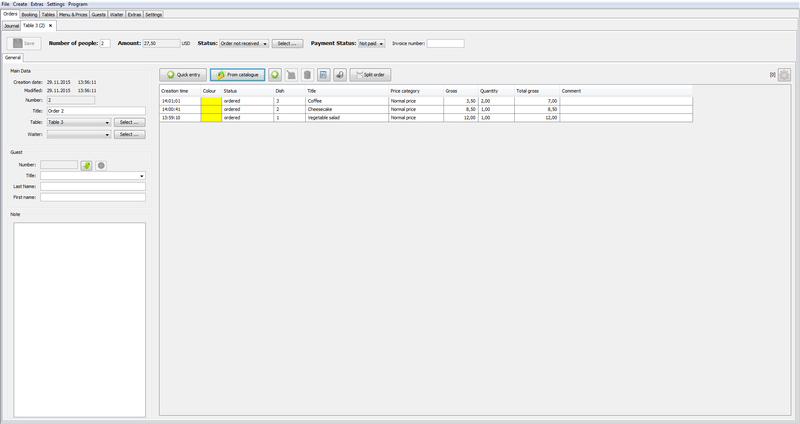 A menu with categories and prices can be set in the system. You can also specify the additional prises that will be automatically filled by ordering. Different discounts and prices, depending on the day of the week, time of day are also possible in the program. In addition, there is a function of account of assortment of dishes in the kitchen. So, specifying the amount of dish available, the program will calculate the remaining amount for each of his order. Thus, in the absence of the required dish, the system doesn´t allow you to add it in order. Orders have statuses and each status can have its own colour. Possible statuses and colours can be set by users in the program settings. Each order item has a notes field for the kitchen. It is noteworthy that every order can be divided between the required number of guests for a single payment, with the help of a comfortable function of order separation. It doesn´t take much time to receive and pass an order to the kitchen / bar. In order to pass an order to the kitchen / bar, each order can be printed. Booking system is organically integrated into the program. 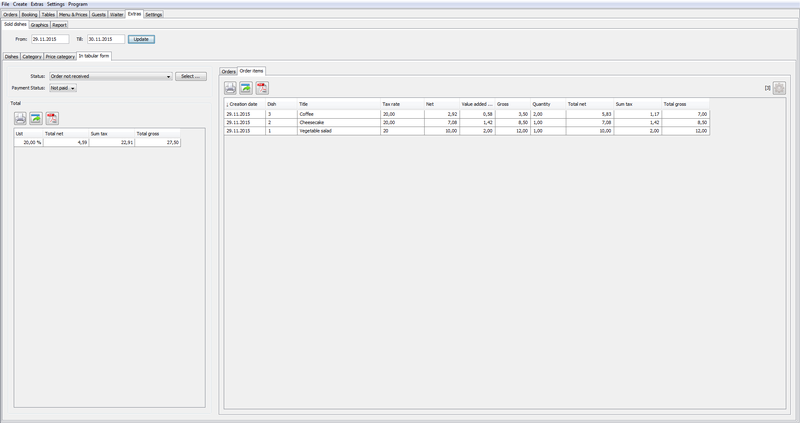 Graphic display for reservation of tables is possible in the form of a timeline, as well as a table. At the same time display mode can be also set by users. 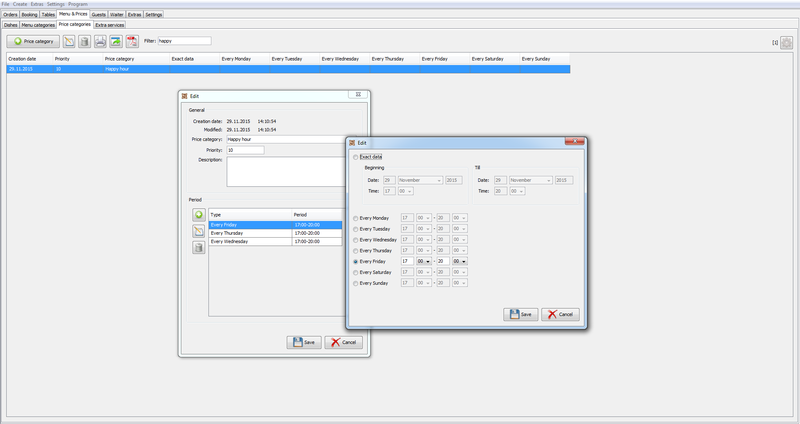 The program keeps records of visitors, with the possibility of indicating their contact information, which speeds up the process of table reservation. The program provides the creation of reports. 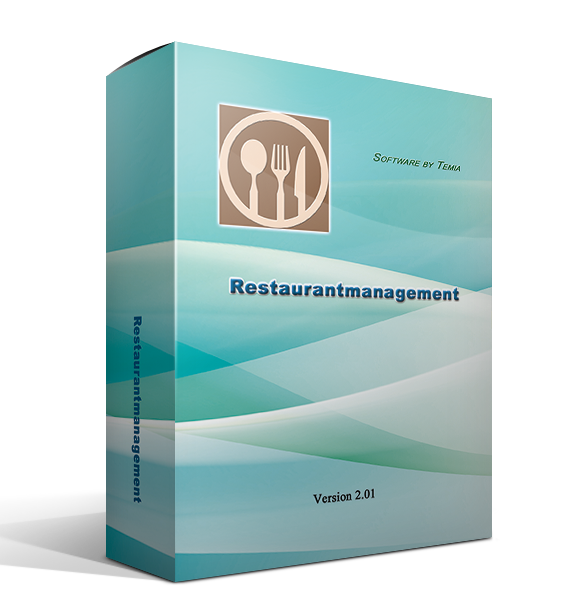 In the system is available detailed statistics of the total cash flow, sold dishes, the number of reservations made, number of guests, number of waiters and other categories. Indicators and reports are available in the form of tables, graphs and charts for the required period of time. 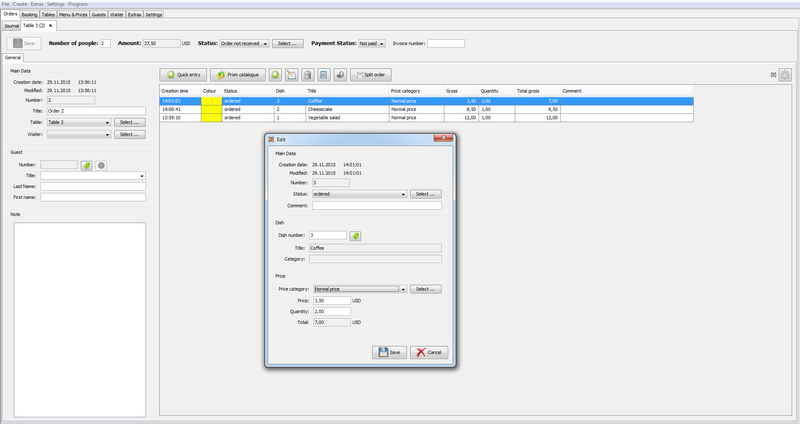 The "Restaurantmanagement" supports printers for instant printing of invoices and receipts at various stages of processing the order.